Craft Brewing | DENWEL, spol. s r.o. 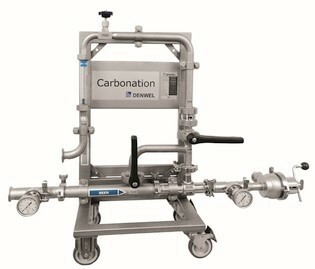 CO2 is injected into beverege through Inline DENWEL Injector, which splits the gas into micro bubbles. 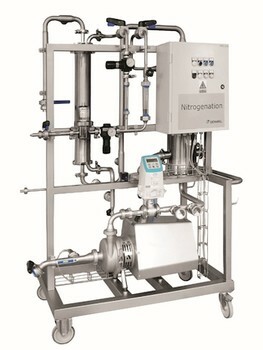 The most efficient and instant saturation is achieved with minimal pressure drop and no gas loss. Fully hygienic CIP design. No static mixer and no part removal required prior sanitation. 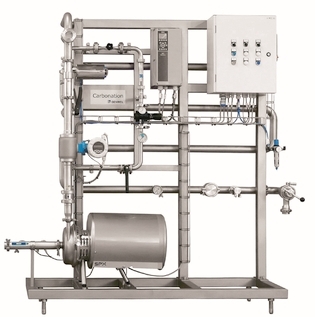 The Inline Semi-automatic Carbonation Unit is designed for continuous carbonation of beverages, where a precise CO2 ratio injection maintains carbonation at desired concentration. A booster pump and a back pressure valve provides optimal process conditions. 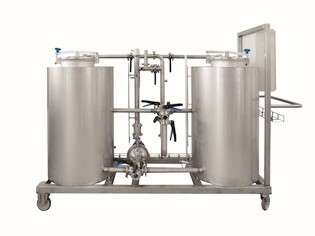 Fully hygienic CIP design. 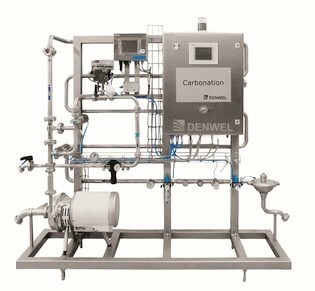 The Inline Automatic Carbonation Unit is designed for continuous carbonation of beverages, where a continuous CO2 analyzer controls gas injection and the required CO2 concentration is always maintained. A booster pump and a back pressure valve provides optimal process conditions. 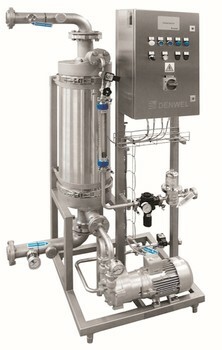 The Water Deaeration Column Cold Unit is designed for very efficient and reliable water deaeration. 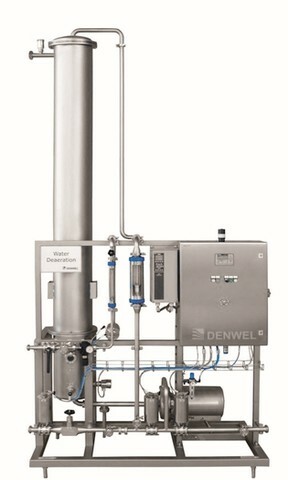 The single column is filled with a structured packing enabling a large internal surface between water and stripping gas. Oxygen concentration below 10 ppb. No vacuum pump is required. The Water Deaeration Membrane Unit provides efficient water deaeration using hydrophobic hollow fiber membranes with final Oxygen concentration below 10 ppb. 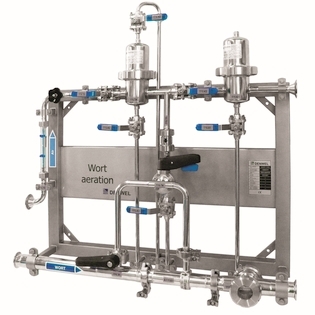 Configuration of membrane contactors depends on capacity and required Oxygen concentration. 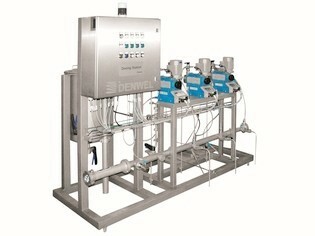 The Compact Dosing Unit provides continuous dosing of one, or more additives into beverage, water or cleaning solution. 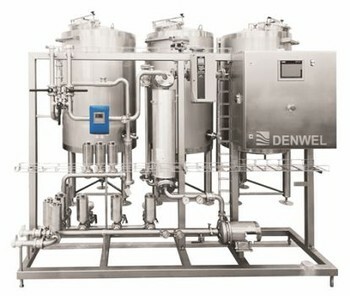 A precise dosing rate is controlled by process analytics or volume / mass flow measurement. 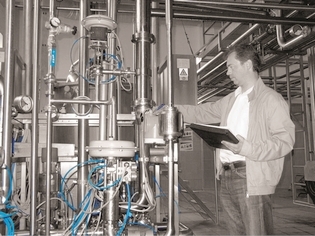 Additives can be dosed directly from bulk container or homogenizing vessels. The Mobile CIP Unit reliably removes mineral and biological residues. CIP sequencing using valves, pipe reconnections not required. Sampling valve for concentration check during cleaning. Automatic temperature control. 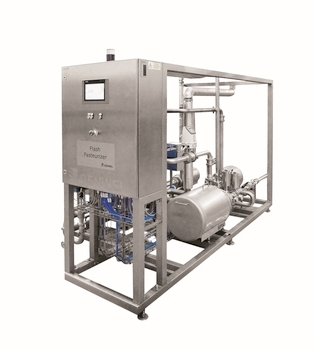 The Compact CIP Unit provides a single line cleaning of pipes, tanks and process technology. It includes insulated Caustic, Acid and Water recovery vessels. Automatic CIP sequencing with defined temperature, flow or pressure. We understand Service & Support as a key for longterm relationship. Our after sales service always provides immediate and effective support. Preventive Maintenance & Service Agreements help our customer to meet specific operational and productivity goals and stop larger failures from occurring, potentially saving significant time and money.